Hypothyroidism, Thyroidectomy and Hashimoto’s Journey…. Hi. My name is Dawn. I have a very extensive family history of thyroid issues and hypothyroidism, especially on my mom’s side. But, let’s not forget my good ole dad and his side of the family that suffer with hypothyroidism, as well. Despite that history and my being predisposed to having it, no one was looking. All the symptoms were calling out and even the family members who were suffering, too, I still went undiagnosed until I was 19. So, my hypothyroidism story is a very long one, spanning more than 2 decades. Back when I was a child, I had a weight issue for as long as I can remember. I didn’t suspect a real issue until I was in about 7th grade. That was when my symptoms started to show up and my first symptom was not one most would associate with thyroid issues. It was memory recall. I would sometimes forget what I said, seconds after I said it. I told my best friend at the time and she didn’t believe me. In High School, I started to get other uncomfortable symptoms and I would wear a sweater to school…no matter the weather. I lived in southern Texas at the time, and around that time my periods started to become off. It had been like clockwork for years. I didn’t get tested though until my junior or senior year in high school. At that point I remember seeing my results and my TSH was about two and a half, which was in the normal range and my doctor just sent me on my merry way. I never brought it up again. I actually think my GP was better than the endo I had been seeing, but I still continued to gain weight and felt like I was constantly dragging. #Thyroid Click To Tweet A few years later I went in to get a physical so I could get on birth control, because I was about to get married. During that appointment though, the doctor noticed that my thyroid gland was enlarged and it was big enough that it was visible to the naked eye. My doctor was not concerned with just my thyroid gland, either. He was concerned it was cancer. I underwent a biopsy, that came back normal, and an ultrasound to see how big it was. I was only 19 at the time. Can you imagine? 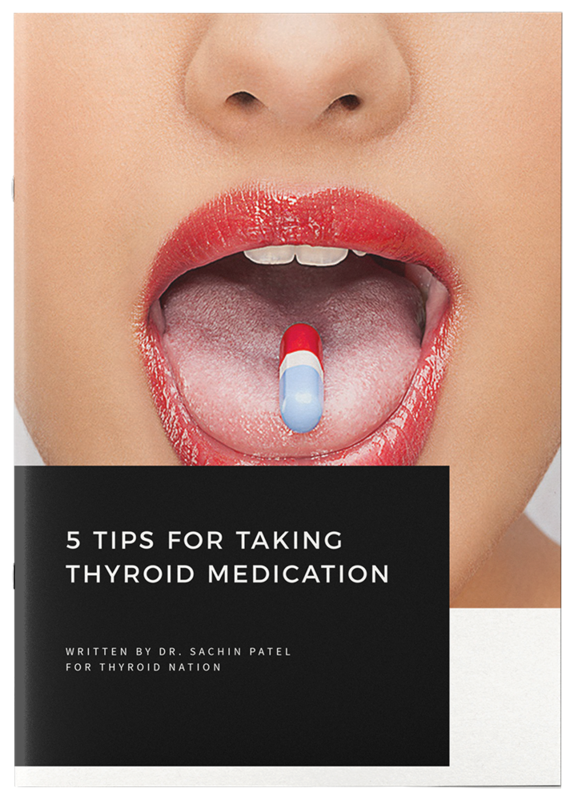 Eventually, I went to an endocrinologist who finally put me on thyroid medication for hypothyroidism. A couple more years went by and I went in for another ultrasound to monitor the size of the cancer. Sadly, it had grown and that meant another biopsy. At this point, I decided, with my husband’s support, that we didn’t care what the results were, we wanted it out. I was only 22 and had the word cancer thrown at me twice and I didn’t like the trend of every few years it being thrown my way again. She referred me to surgeon, who had me do the swallow test and I couldn’t do it. The swallow test is when you take a sip of water, look up and swallow. I couldn’t swallow that way. My surgeon proceeded to take out 3/4 of my thyroid, in 2001. It was partially blocking my throat (I believe it was like 50%) so it wasn’t only visible from the outside, it was closing off my throat, too. 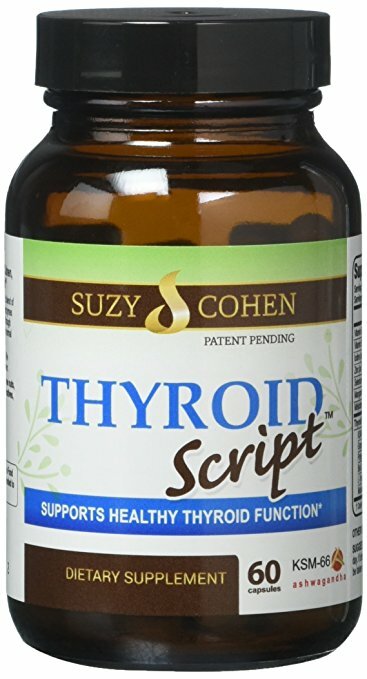 Initially, my thyroid medication didn’t change much. I only went up maybe 4 doses after my surgery. That told me that what they took out wasn’t doing much anyway. I stayed with that endocrinologist until I moved to another city. I started to see a new one and her personality just wasn’t a fit for me so I just started to see my GP for my thyroid. I actually think my GP was better than the endo I had been seeing for years but I still continued to gain weight and felt like I was constantly dragging. I moved yet again to another state and this time my GP was a horrible thyroid doctor. Regretfully, I saw him for a couple years and my health declined rapidly. When I first told him what dose I was taking from my previous doctor, his reaction was “That is really high,” but in reality, it wasn’t that high for someone without a thyroid. That was a red flag for me. He kept lowering my meds and it eventually backfired on him…..and me! Getting dizzy for no apparent reason was a huge clue that things were getting bad. Turns out, at that point, my meds were too low. So he increased my medication. A few months later, I decided that I was going to ask to be put on T3. That doctor basically told m NO. Additionally, he didn’t actually say the word ‘no’. Instead, he gave me a long speech as to why he didn’t and wouldn’t prescribe it for me. I didn’t argue with him. There was no point. I decided that if I wanted that medication, I would have to find someone who would. I didn’t do this though until my husband decided to do it, too. 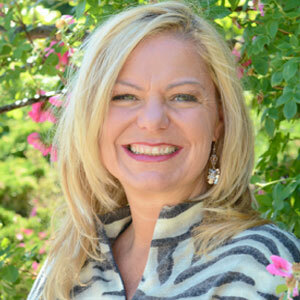 We decided to see a bio-identical doctor in my area. Saying this was one of the best decisions we ever made is a huge understatement. This new doctor put me on NDT. I did do better but then I stopped progressing. I thought that I may have a conversion issue and eventually, I was put almost entirely on T3- only medication. This is where I have been for several years now. Up until this point, I had been told, “you just have hypothyroidism”. And no one could tell me why. All my previous endocrinologists had tested me for Hashimoto’s but all of them told me it came back normal. I didn’t see the actual results so I have no idea where I was on the range. Last year, I decided to try this approach again. When I told my doctor about my previous tests coming back normal he told me to up my gluten intake to see if we could get it above range. He also said that if I started to feel sick to cut back. Strangely, I did start to feel sick so I had to cut back. When I got the results back, I was above range. After so much time, I was finally diagnosed with Hashimoto’s disease. This was also my inside clue as to why I didn’t really care for bread. My body was rejecting it and telling me NO. Finally, I listened. My hypothyroidism journey isn’t over yet, but I have come a long way since I started down this path. 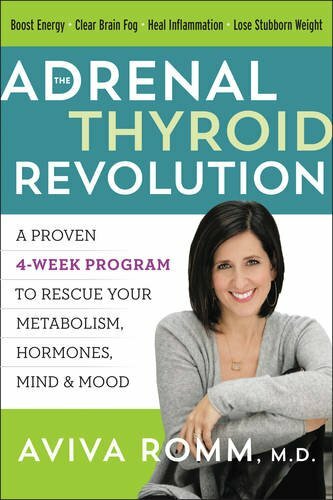 It seems like so many years ago…..
we can win this war together, Thyroid Thrivers!